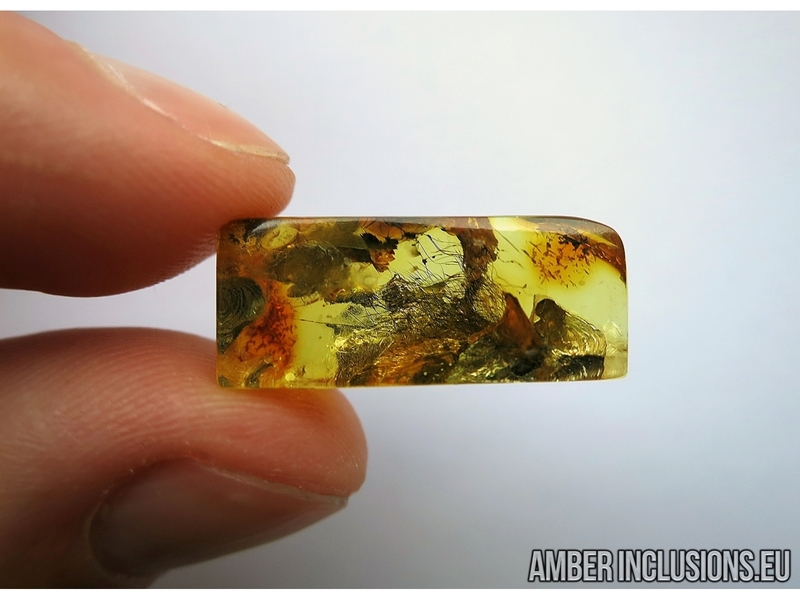 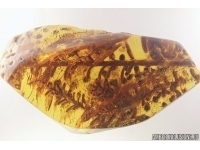 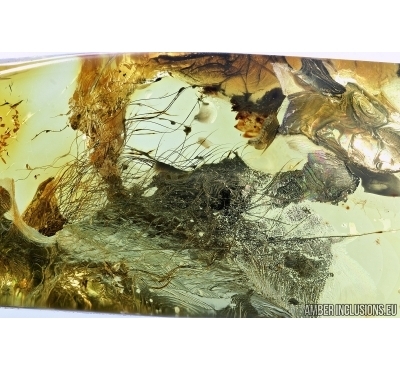 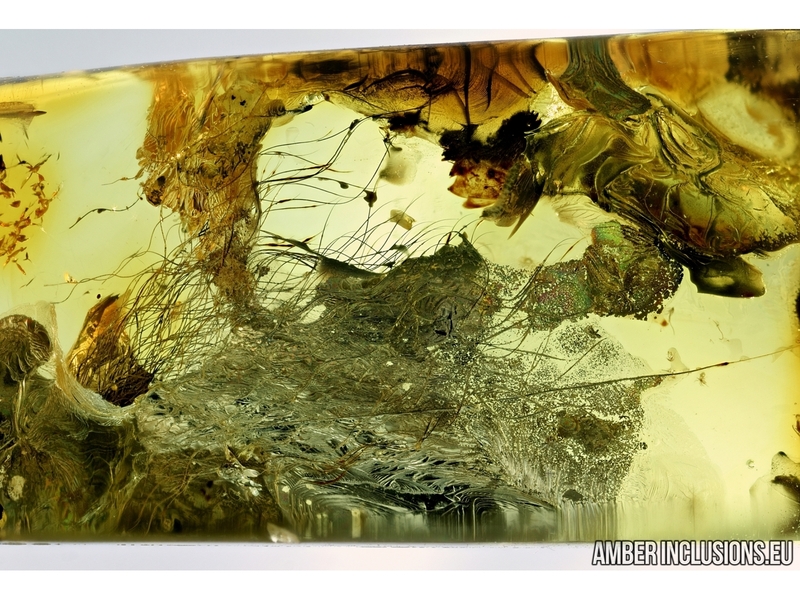 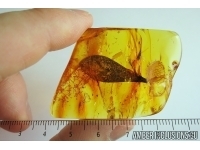 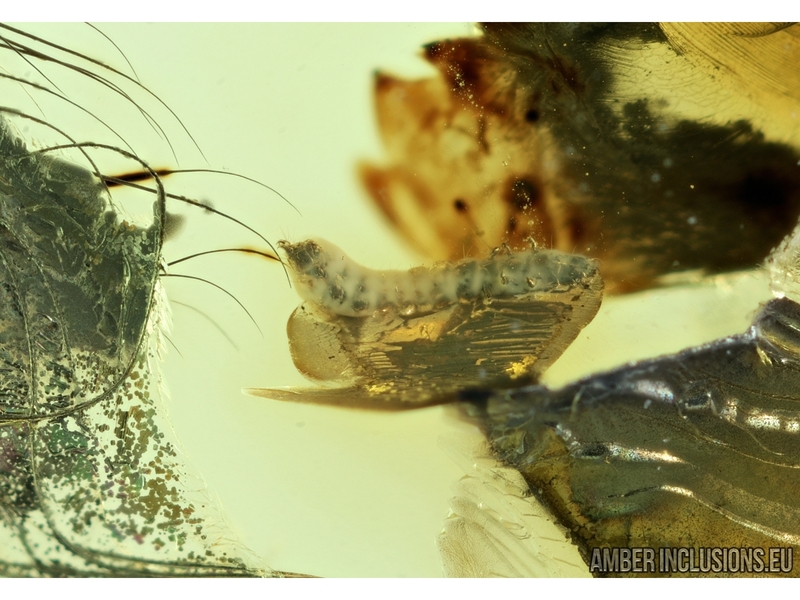 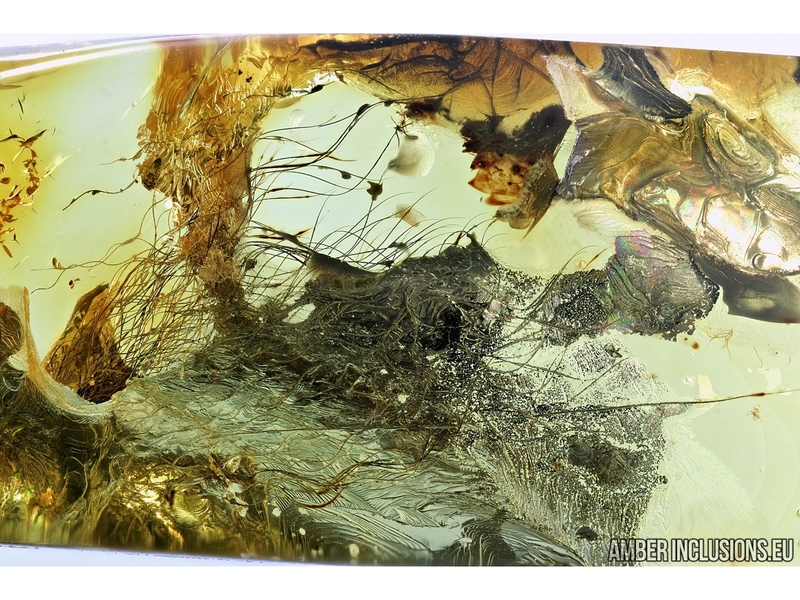 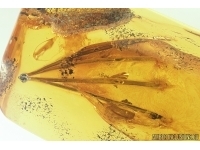 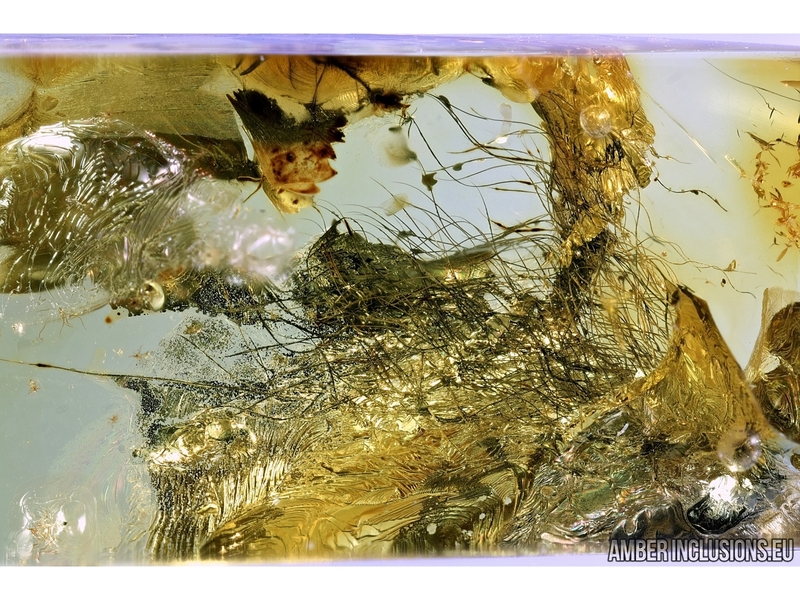 Baltic amber stone with inclusions -Mammalian hair and Beetle Larva. 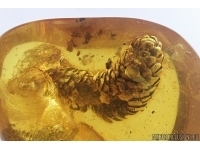 It weighs 1 gram. 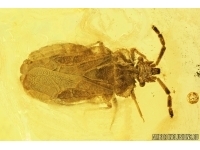 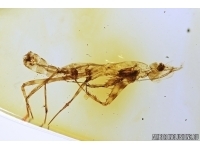 Measurements of stone 22x10x5mm, length of beetle larva ~1.4mm, mammalian hair ~17mm.